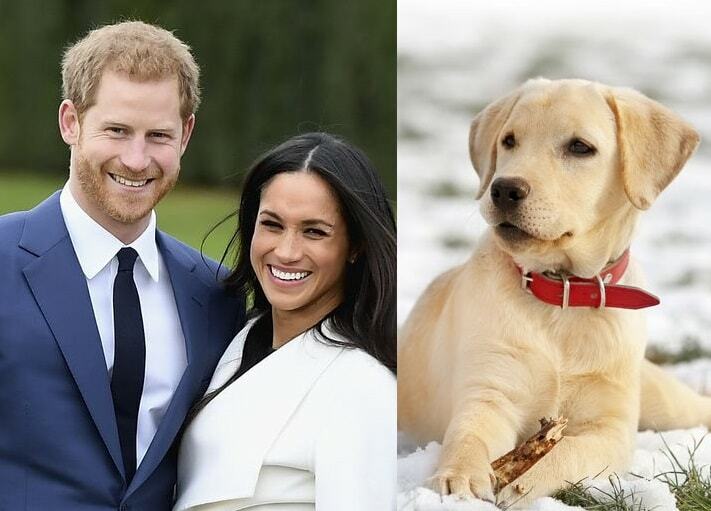 The Duke and Duchess of Sussex have added a new member to their family: A new royal dog. The dog is a Labrador Retriever and has reportedly already moved in with Prince Harry and Meghan Markle at Kensington Palace. Many think the new dog is a replacement for Bogart, the Labrador-Shepherd mix Meghan had to leave behind when she moved to the UK to be with Harry. "The dog is already happily ensconced at their cottage, " a royal source told The Daily Mail. Meghan was able to bring along her Beagle (a small hound dog breed), named Guy, who was a star in his own right on the former actress' Instagram page before she had to shut it down, because of royal rules.